Do you hate cold calling? I don’t blame you, most of us do. It’s something that the majority of us have done at one point or another. A lot of people starting in business feel as though they have no other options. 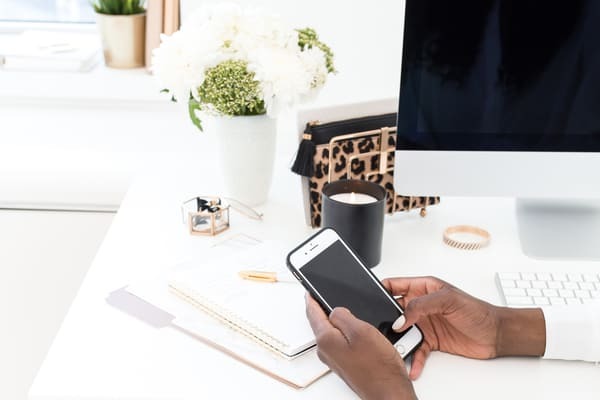 If you’ve just launched a new business and you’re in desperate need of some clients and customers; here are some cold calling alternatives. Rather than spending your time knocking on doors, send potential customers a pressure-free advertisement. Of course, do your research first and target your mailing audience. Send them a coupon, an invitation, something that makes them want to take action. Where can you find your type of customer? Trying to start a business relationship is not much different than trying to establish a personal one. You want to meet people who fit into your target market. If you’re selling baby products, you don’t want to be spending your time at the local senior citizens' facility. However, you may want to visit the local daycare with free samples and promotional materials. Donating bag fillers (coupons, business literature or product samples) to local event organizers is also a good marketing strategy. Around the holidays, there always seem to be plenty of open houses, craft shows, and other gatherings with lots of potential. Being part of a feature news story is free. You can’t beat that price. However, to get media attention, you need to fine-tune your public relations skills and your messaging. Establish a strong contact list and work at forming relationships with them. Write strong pitches and press releases. (Get help with these if needed!) Make sure you are giving them something to write about. Things, like hosting an event or donating to a local charity, are great reasons for the media to write about you and your company. Be sure to personalize your story. Why are you different? By participating in already established events, you can take advantage of the already captive audience. Larger events provide the traffic and much of the advertising ahead of time. Purchasing space at trade shows and expos can be great exposure for your products. Do your research first and select events that pertain to your niche. Around the holidays, local events tend to multiply. Be chatty and talk with as many potential customers as you can. Be sure to offer brochures or giveaways that they can walk away with. Also, don’t forget to talk with other vendors; you don’t want to miss an opportunity for excellent networking! Network, network, network. Always network. It doesn’t matter if you’re at the local farmer’s market or the monthly meeting of your town’s Chamber of Commerce, be ready to talk about your business. You never know when the opportunity may strike. Keep a stash of business cards in your purse and don’t be afraid to offer them if the situation seems right. You can make plenty of opportunities for yourself by being outgoing and forthright. Do you have information and resources that others would value? Do you have something to offer others in an educational setting? Webinars can be a great way to spread the word and build credibility. Potential customers and business partners will look to you as a resource and a knowledgeable person in the industry. If you prove your webinar to be valuable, your audience will return and grow. Webinars can contain many different calls to actions within them, or multiple opportunities to promote the same call to action. Also, it’s a great way to build your email list. Launching an email campaign can be a great way to reach hundreds or even thousands of potential customers with the click of one button. This is a more effective use of your time than calling everyone individually (although there is something to be said for a personalized, one-on-one conversation in certain instances.). Make the most of your email campaign by ensuring that there is strong, relevant content and that it includes a specific call to action. Are you comfortable in front of the camera? Videos are some of the most popular and most shared items on social media. If you are a good public speaker, why not make a video? If it offers high-quality content that others find valuable, chances are it will get shared. Maybe it will even go viral. The more views you get, the more potential customers you are reaching. 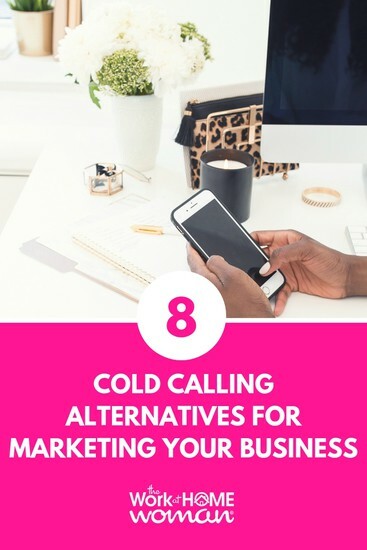 While cold calling can be an effective marketing tactic, it's one of the more unpleasant strategies available to small business owners. Luckily, there are many cold calling alternatives that are just as effective, maybe even more so. Try a few of these out and let us know how they compare to your cold calling strategy. What is your most effective marketing strategy? Drop us a note; we'd love to hear from you! If you enjoyed this post — please share it on your favorite social media site. Originally published December 17, 2013. Content updated January 22, 2019.